Most everyone can benefit from the presence of a professional labor doula. In a few situations, you may not actually need one, BUT could still benefit because they know tips and tricks, your loved ones don’t. 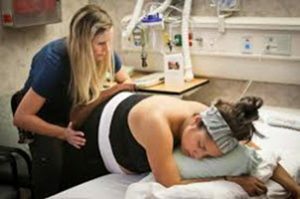 A doula will stay cool under pressure, is prepared to support you for many many hours at a time and has specific training for this job. Yes, you for sure need a doula if you…..
No, you may not need a doula if you…..